Top 5 Myths About Horses Busted! Myths commonly float around in the horse world. It makes it difficult to know what is true when everyone is saying something different from one another. Some of these myths have been around for a long time. How much do you really know about horses? Get the real facts! 1. Horses only communicate through neighing: This is false! While horses may call out to another through a neigh or whinny, most of their communication is actually through body language. You can pick up on your horse’s emotions by just watching them in the barn or field. 2. They only sleep by standing: Horses can sleep while standing, but in order to get a deep sleep they need to lay down. For optimal health, your horse should receive a few hours of REM sleep every day. 3. White hooves are weaker than black ones: This one has been around for a long time! The structure of a hoof is the same regardless of the color. So, no need to pass up on the horses with all white hooves. 4. 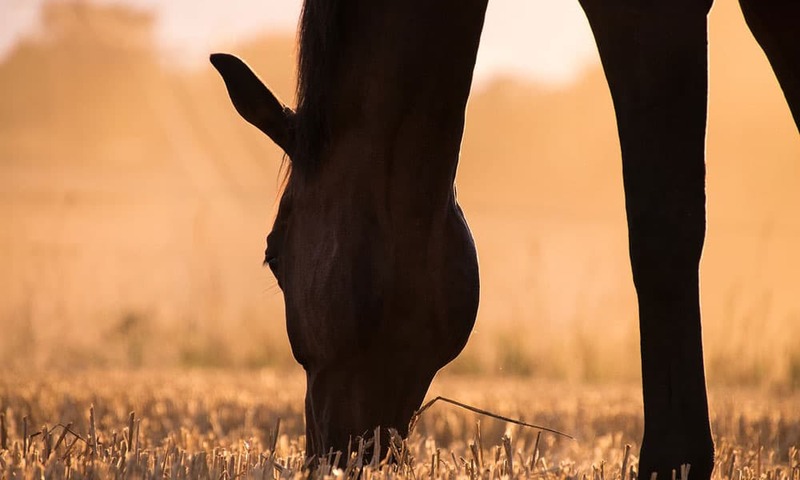 Your horse loves to barrel race or jump: Truth is, your horse may enjoy certain disciplines more than others, but in reality they love grazing, sleeping, and participating in other natural horse behaviors more than riding. 5. They’re just like dogs: Nope! Horses are prey animals and dogs are predators. That means they think very differently. I hope you’re not too shocked! Some of these myths are very popular beliefs.